India is many things: majestic, beautiful, fascinating, intense – and, at times, even maddening. This diverse country is huge and bursting with a variety of cultures and traditions, languages and cuisines. Getting the balance right – how long should you spend in each place? Is flying in India safe? What are the airports and planes like? What about train travel in India? What are the overnight trains like? What is the quality of hotels like in India? Food in India – will it all be spicy? Will be dietary requirements be met? When’s the best time to visit India? What festivals can I experience in India? What are the must-sees when planning a luxury India tour? What should I wear on a luxury India tour? What are medical facilities like in India? How much does a luxury India tour cost? How can I steer off the beaten track in India and gain authentic experiences? How long should I spend in India? Why should I choose Indian Excursions for my luxury Rajasthan tour? Deciding how long to spend in each particular place does differ depending on the destination, though generally we find two or three nights to be a comfortable amount of time. One night is quite a squeeze and you’ll find yourself spending more time traveling than sightseeing, though having said that we do find one night is sufficient to do justice to the Taj Mahal in Agra. In the capital city of Delhi we’d recommend two or three nights, depending on the time you arrive – for example if landing late in the evening you may appreciate a day at leisure to follow in order to rest and refresh ahead of your India tour. In Jaipur, many of our guests appreciate a third night in order to indulge in a bit of shopping (Jaipur is a treasure trove of vibrant bazaars and emporiums selling a range of local handicrafts, colourful textiles, carpets, jewellery and trinkets). On the whole however most of our guests tend to spend two nights in each destination. During the initial planning stages, many of our guests inform us that they want to avoid long drives or days spent in the car. We can absolutely understand that, though there will always be a certain amount of driving involved in any tour of India, due to the sheer distances from place to place and a poor train/flight network. Drives to tend to be about four or five hours on average. Some of our guests appreciate stops in interesting places en-route (for example at the Jain temple in Ranakpur between Jodhpur and Udaipur) in order to break up the long drive into two more manageable chunks. Other guests prefer to get the drive out the way and do it as swiftly as possible, perhaps even by carrying a packed lunch to eat en-route. It is always our endeavour to create the most efficient itinerary for you and to complement your preferred style of travel. And, it might not be quite what you think – we often hear from our guests that the drives went by much quicker than they’d anticipated, and that they enjoyed taking in the scenery from their window as they passed through quaint villages and bustling cities. Other guests use that time in the car to rejuvenate with a nap before reaching their next destination. For those who want to remain connected we offer complimentary WiFi in the vehicle so you can catch up on emails and social media. Another question we’re often asked about the long drives is if there’ll be places to stop for bathroom facilities and refreshments along the way. Yes, there will be, and our experienced drivers know exactly where the best ones are so they’ll point these out to you ahead of time. You can learn more about driving in India by clicking here. This is a question we’re often asked by our guests when planning their luxury India tour. Yes, flying in India is safe. This is regulated not only by the airlines themselves, but also by India’s aviation regulator (the DGCA), and also by the manufacturer of the aircraft, such as Airbus and Boeing. Our guests often wonder what the planes will be like. Aircrafts used by commercial airlines in India are exactly like those you’ll find in your home country. The Airbus A320 and Boeing 787 are what you’ll most likely be seated in, though smaller airports (including Bagdogra near Darjeeling, and Dehradun near Haridwar) are also served by ATR 72-600 and ATR 42-320. In a quest to avoid long drives, our guests often ask if it will be quicker to go by train. In the majority of cases, it’s not. This is because the trains often stop at lots of local stations en-route, and when taking into account the time spent travelling to/from the station at either end, waiting for the train, and the likely possibility of delay, driving is almost always the quicker option. Our vehicles are clean, spacious and air-conditioned, so driving is the more comfortable option too. Lastly, trains often depart or arrive at awkward times whereas driving frees you to set off when you like. Having said that, there are a few occasions where travelling by train is quicker and this would be suggested to you by us during the planning stages. Many of our guests wish to take a ride on an Indian train purely for the experience rather than convenience, and it can be a wonderfully exciting way to meet local people. There’s always so much life at the railway stations. We do not recommend travelling overnight on an Indian train – the facilities and food available on board are poor. Sleeping on a hard bunk in a wobbly train that has people getting on and off throughout the night does not provide a decent sleep. Overnight trains tend to depart very late at night and arrive very early – much before the hotel check-in time – so you’re unable to get to your room straight away to freshen up. And, unfortunately we’re unable to select a two person or a four person cabin, so you may be sharing with other passengers. 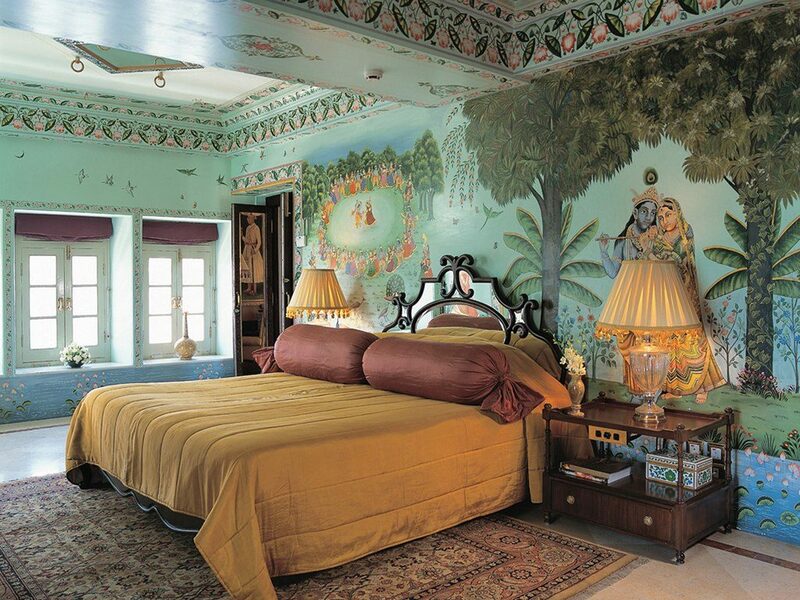 India is home to some of the very best hotels in the world. In fact Jodhpur’s Taj Umaid Bhawan Palace was voted by users of TripAdvisor as their Best Hotel in the World for 2016, and the stunning Oberoi Udaivilas in Udaipur was Travel+Leisure magazine’s Best Hotel in the World for 2015. These hotels come with all the modern comforts a five star traveller would expect and the service is extraordinary – the Oberoi hotels in particular are known for going far above and beyond anything offered elsewhere in the world. Luxury aside, there are also some wonderfully charming boutique hotels and heritage havelis available too, which at a modest price offer comfortable lodgings with rich history. As specialists in tailor-made tours of Rajasthan we regularly stay at and visit all the hotels we recommend, ensuring not only a memorable and comfortable experience, but also that we as your specialist are able to hand-pick specific properties to perfectly suit your tastes and budget. When choosing Indian Excursions, a bad hotel is not something you need to worry about. We know that the hotel room you’re allocated is just as important as the destination – in some cases more – and we take hotel choices very seriously. Having regularly visited all the properties we recommend, we have first-hand up-to-date knowledge on the ins and outs of the hotel; the level of service, the décor, the atmosphere, the location, and the rooms. We also know that a more expensive room isn’t necessarily always the best (for example, in Jodhpur our favourite room at Raas is their Luxury Room, the second category of five. At the Oberoi Rajvilas in Jaipur we prefer the entry-level Premier Room because of the variety and local flavour it brings). We at Indian Excursions have remained an intentionally small organisation as we love getting to know each of our guests, tailoring every detail of their luxury India tour to best suit their preferences. A series of conversations throughout the design process will allow us to get to know you, your likes and dislikes, and recommend the perfect room. We can also offer our first hand opinion on a property that may have caught your eye online, or been recommended by a friend – often times the friend travelled quite a few years ago and there may now be much better options available to you. India isn’t often the first country that pops into mind when thinking of where to book your family holiday, but it should be! Families who’ve travelled with us in the past have initially been concerned that their child(ren) will become tired of the forts and palaces. In reality, there are lots of wonderfully exciting hands-on experience to keep your children engaged. Please do check out our favourite child-friendly activities in Rajasthan, India for more inspiration. Indian culture places a lot of care and respect for the old and infirm, and when combined with their attitude of atithi-devo-bhawan (‘guest is God’) to foreigners, you’re assured of hands-on service, more so than you’d perhaps experience in the western world. We have welcomed wheelchair users to India in the past and are familiar with the most accessible hotels and destinations. If you’re not wheelchair bound but require use of one occasionally on busier days, we have wheelchairs and walking aids available for your complimentary use. 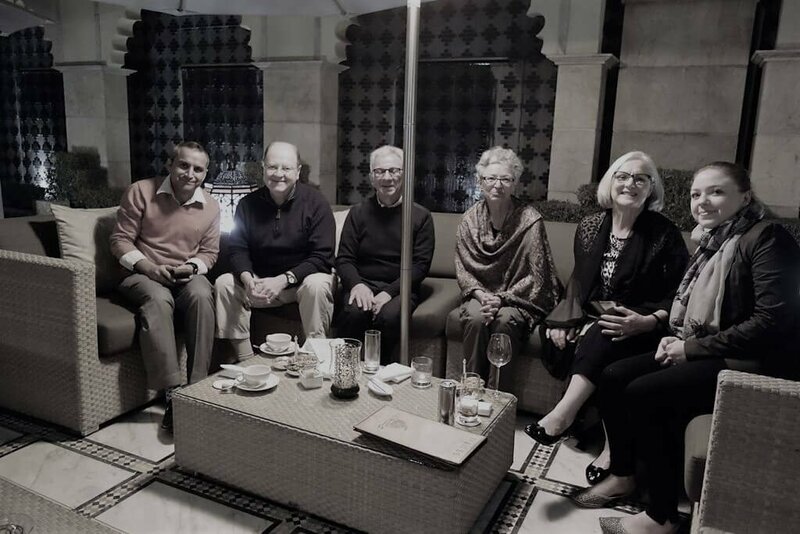 Many of our guests at Indian Excursions are older and enjoying their retirement years – our guides will go at the right pace for you to ensure you’re comfortable and make the most of your time in India. The dreaded Delhi Belly is often a concern for our guests, though in reality few fall ill. There has been a drastic improvement in food preparation standards in the Indian hospitality industry in recent years, so you do not have to worry when dining at a restaurant or hotel we’ve recommended. If you do experience a bit of an off tummy, this often clears up within a day with over-the-counter medication such as Immodium. Medication is readily available in India though it can be comforting to have known brands that you’ve brought with you from home. If you’re feeling under the weather please do let us know – we’ll do everything we can to ensure you’re comfortable, and can source particular meals for you or adjust your sightseeing plans until you’re feeling better. The complimentary phone we provide our guests with means we’ve only a quick call away for assistance. 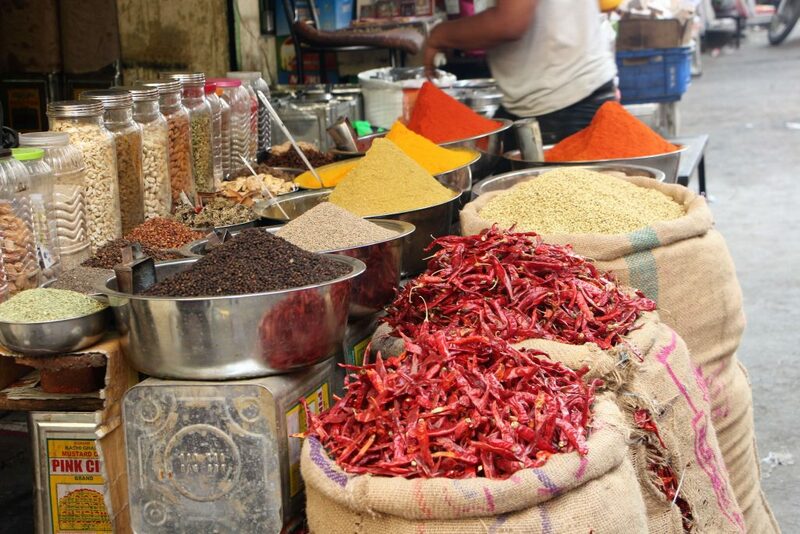 Food in India – will it all be spicy? Will my dietary requirements be met? Food is a highlight of any India tour and wonderful culinary experiences will occur naturally throughout your time here (do check out our favourite restaurants in Rajasthan). Staff are always keen to prepare your dish exactly how you’d like it, and will often ask your preferred spice level at the time of taking your order (much in the same way you’d order your steak as medium or rare). Not all our guests enjoy Indian food or spicy food and that absolutely need not affect your enjoyment of the country – Continental and Chinese options are widely available, with familiar favourites such as fish and chips, macaroni cheese, baked beans, scrambled eggs and pizza easy to find. Any other kind of cuisine you can imagine – from Japanese, to Thai, to French – can all be found in larger cities in speciality restaurants. Guests with dietary preferences or medical requirements, such as for gluten-free or kosher meals, would be safer dining at high-end establishments such as the Leela, Taj and Oberoi hotels. Conditions such as Celiac Disease are not as well known in smaller restaurants so you will want to take extra care. 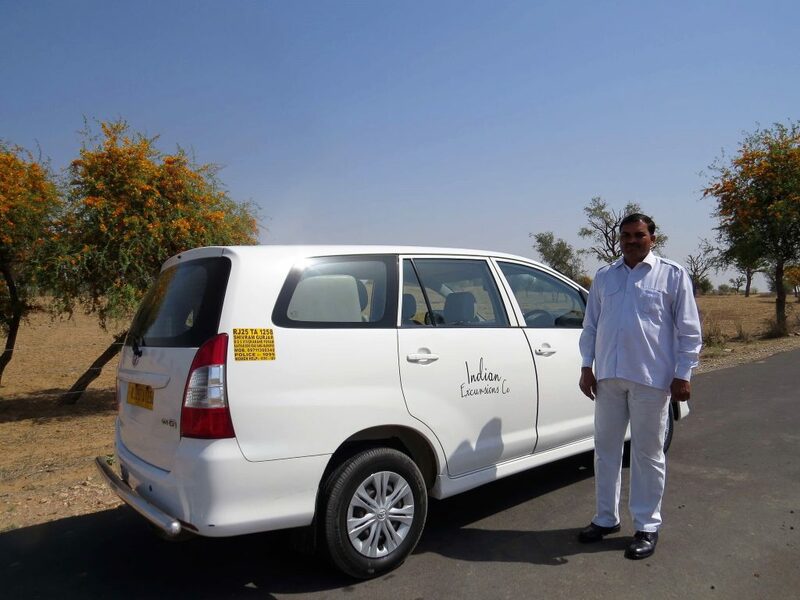 Your guides and/or driver are always on hand to translate for you if needed, and in the past we’ve made up translation cards in Hindi for our guests to carry with them and present restaurant staff. A safari in the Indian jungle on the trail of tiger is an exhilarating experience. There are several different parks to choose from. We recommend Ranthambhore National Park, not only for its high tiger population but also for its close proximity to other places of interest. 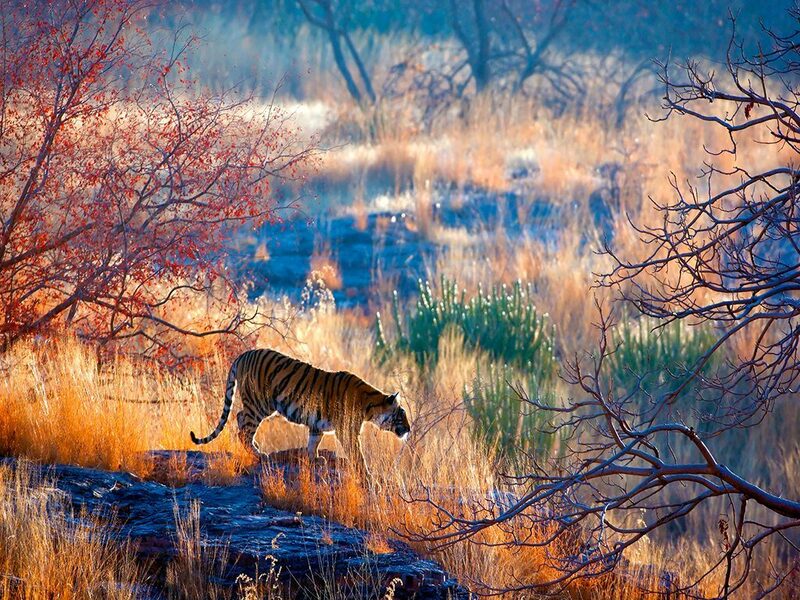 For example, Ranthambhore is just four hours away from Jaipur. In comparison, Bandhavgarh and Kanha are much further away and would require a day of travel to-and-from. Guests who’ve experienced a safari in south Africa may prefer to omit the idea of safari in India, in favour of exploring more of its cultural and architectural highlights instead. Weather-wise, the best time to visit India is from October to March. The winter months of December and January can be quite chilly though so we’d recommend October, November, February or March if you’re seeking warmer climes. In terms of cost, the two week period over Christmas and New Year is the most expensive time to visit north India, with hotels charging significantly more. The best value can be sought from April to September, which is generally considered to be the ‘off-season’. Travel during April, May and June is best avoided as the heat is quite insufferable. This is followed by heavy monsoon rains in July, August and early September. Travelling during the tail-end of the off-season can be wise as you’re able to take advantage of lower rates whilst escaping the worst of the weather, though India’s tented accommodations (such as The Serai in Jaisalmer) and national parks (including Ranthambhore) are closed throughout the off-season. 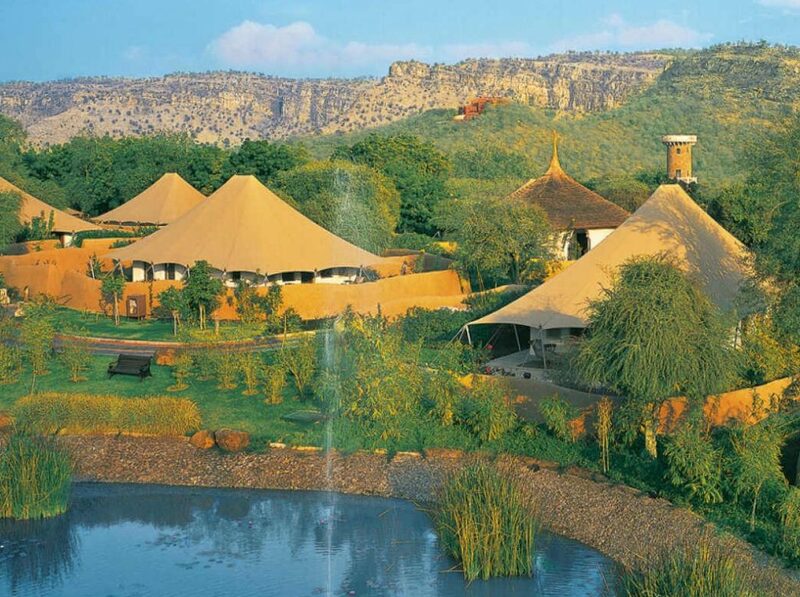 The Oberoi Vanyavilas, Ranthambhore, is an intimate luxury camp with just 25 tents. It’s open from October to the end of June. It is often said there are more festivals in India than there are days in the year! No matter when you travel there’ll be some form of festival or ritual taking place. The most prominent festivals however include Diwali (19th October 2017) and Holi (2nd March 2018), as well as the Pushkar Camel Fair (28th October – 4th November 2017). Those with a keen interest in music may like to experience RIFF, the Rajasthan International Folk Festival, held in Jodhpur from the 5th – 9th October 2017. Celebrating Diwali or Holi with a local family is an experience our guests have thoroughly enjoyed in the past, and something we’d be delighted to arrange for you. It’s worth noting that most monuments are closed on the day of Holi. The Taj Mahal, despite being very touristy, is definitely a must-see when in India. 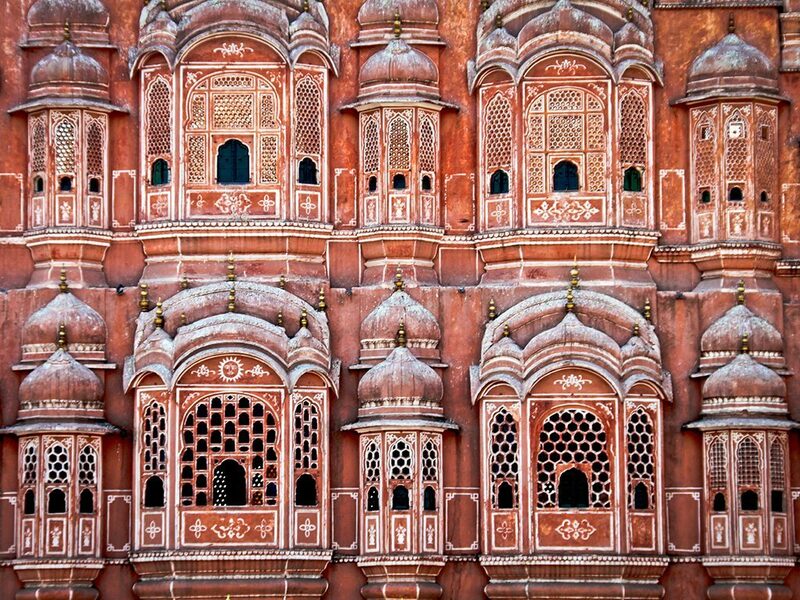 The Pink City of Jaipur really embodies what Rajasthan’s all about – with its splendid forts, palaces, and bustling bazaars – so that shouldn’t be missed either. Delhi often suffers a bad reputation but I personally feel it has a lot to offer and exploring its monuments sets the scene for those you’ll be discovering later on. For example, Humayun’s Tomb in Delhi was thought to have inspired Mughal Emperor Shah Jahan for the design of the Taj Mahal. 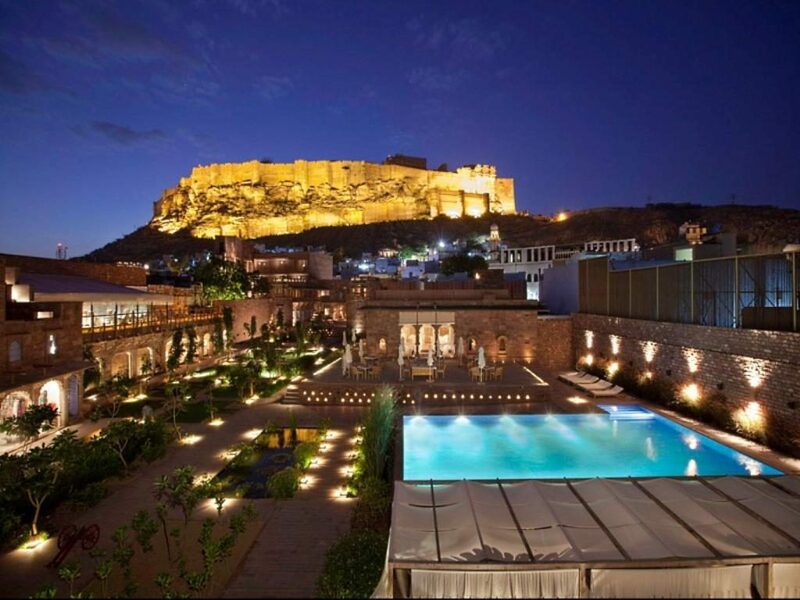 If you have more time, both Jodhpur and Udaipur are also a must. 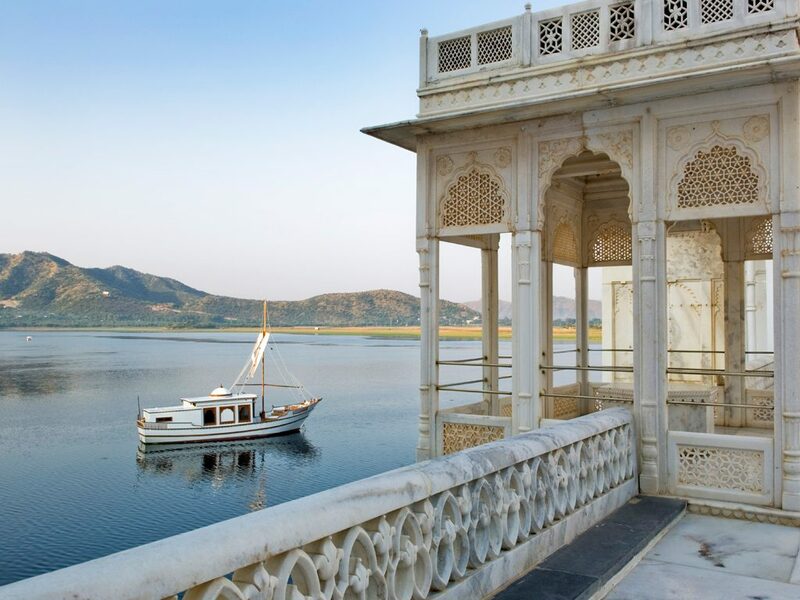 The city of Udaipur is quite fairy-tale like and a really easy-going place to end a tour of India. 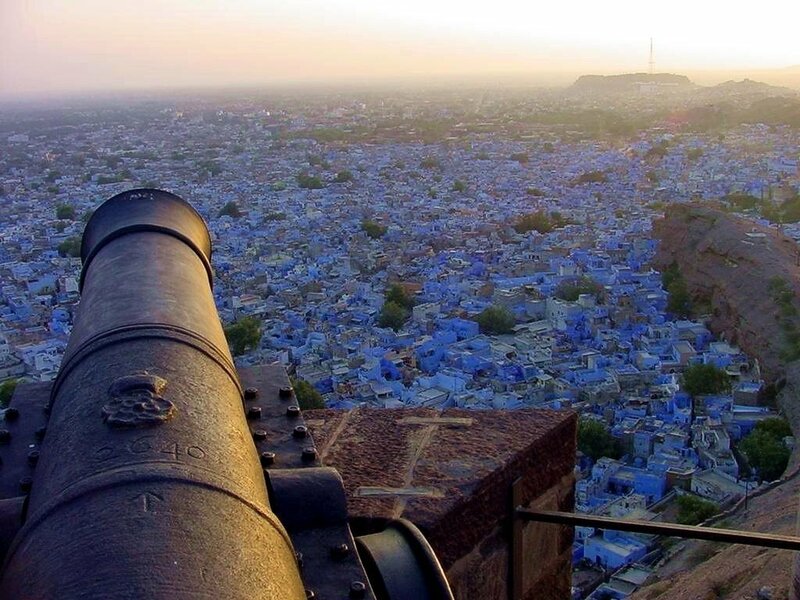 In Jodhpur, Mehrangarh Fort is perhaps the best maintained of all India’s forts. The desert city of Jaisalmer, despite being a bit awkward to travel to and from, is also a must and many of our guests feel they haven’t “done” Rajasthan without it. Varanasi and the river Ganges is also very popular. There are so many wonderful things to see in India that it can be difficult to decide and tempting to try and fit too much in. We’d always recommend taking a slower pace and focusing on a select number of destinations rather than rushing about. This also provides you with the perfect excuse to come back! First and foremost, we’d recommend a comfortable pair of sturdy shoes, as you’ll be walking a lot and the ground is often uneven. Clothing-wise, light linens and other breathable fabrics and recommended to keep you cool during the warm afternoons. Female guests may want to avoid wearing fitted clothing whilst sightseeing, though back at the hotel you should feel free to wear anything you like. It is not mandatory for tourists to adhere to local dress codes, though it would be culturally appropriate for ladies to dress modestly whilst in India (and particularly in more rural places). Maxi skirts are a great idea, as are long tunic tops paired with leggings. If Ranthambhore is on your itinerary, we’d suggest carrying old clothes that you’re not too bothered about (or wear dirty clothes you’ve already worn in Delhi and Agra) as the park is very dusty. There’s no colour code or dress code in the park. At places of worship you will be required to remove your shoes. We’d recommend carrying a pair of clean socks in your bag to wear, or else bringing along the complimentary slippers from your room. The ground can otherwise be very hot for your bare feet and the dust can feel uncomfortable to walk on. Jain temples, such as the one in Ranakpur, do not allow leather items inside. This includes shoes/sandals, so you may want to keep that in mind and bring a pair of shoes that are not made from leather. Other leather items (such as your wallet and/or belt) can be left securely with your driver in the car, whilst you enter the temple. At Sikh temples including the Golden Temple in Amritsar, men and women would be required to cover their heads with a scarf. Hats and caps are not acceptable. Scarves are available to hire (free of charge) outside, though we’d recommend carrying your own with you. Or, pick one up when you’re here – there are so many beautiful ones to choose from in the markets. Recommended boosters include Hepatitis A, Tetanus and Typhoid. Other vaccines to discuss with your GP are Cholera, Diptheria, Hepatitis B, Japanese Encephalitis and Rabies. Rajasthan and north India are considered to be a “low-to-no-risk” area for malaria and not high enough to warrant antimalarial tablets for most travellers. We recommend scheduling an appointment with your doctor well in advance, who can offer qualified advice whilst also taking into account your medical history. Private hospitals in India’s big cities, such as Delhi, are at the forefront of medical technology, offering all the facilities and skilled medical professionals you’d wish for. Rural areas are not nearly as well equipped, though when exploring Rajasthan you’re never more than a day’s travel away from Delhi and flights are available from Jaipur, Jodhpur and Udaipur. In more serious cases, your travel insurance should cover medical evacuation. The tours we prepare for our guests vary greatly in cost, depending on the time of year, the standard of accommodation, the length of stay and the excursions included. Our sample itineraries include a rough indication of the price towards the end of the page. 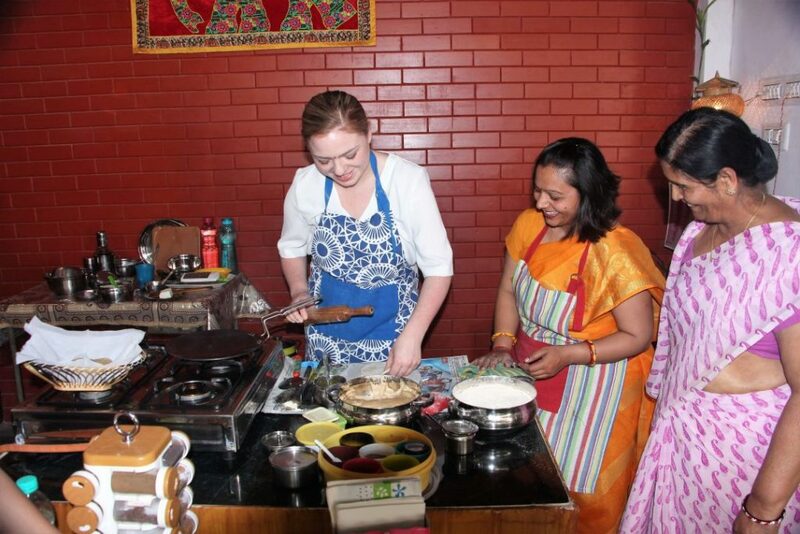 We offer a number of unique and authentic experiences wherein you can look past the monuments and embrace the people, their culture, and their traditions: for example with a private cooking class at a family home in Udaipur, or a private cultural performance in Jodhpur. These experiences are often the highlight of our guests stay. During the design stages we’ll learn a bit about yourself by asking you questions on your likes and dislikes, what you enjoyed on previous trips, and what you might like to experience in India. This allows us suggest amazing experiences, tailored to you, that we know you’ll love. Take a look at 15 of our favourite experiences in Rajasthan, here. India is a country of extreme opposites, particularly in terms of rich vs. poor. The immense wealth enjoyed by Maharajas and businessmen is contrasted by some of the greatest poverty on earth. This can understandably be quite shocking and upsetting, though you’ll also be astonished by the positivity and cheer you meet from those who’re facing such hardship. Their spiritual beliefs may even have you questioning what really makes someone happy. Lots of our guests are keen to help in any way they can though we recommend avoiding giving anything to beggars, and instead making a donation to a reputable charity. We’d recommend taking Salaam Balaak Trust’s charitable walk to learn about the lives of children living on the streets of Delhi. We have been told in the past that one can arrange a tour themselves at a lower cost. Whilst that may be true, what we offer is much more than a simple hotel booking facility or your standard travel agency. When choosing Indian Excursions, you are buying years of first-hand experience and an excellent track record. Our guests are often the type of traveller who realises their time is their most precious asset, and they wish to entrust it with experienced individuals who have an excellent track record. We are repeatedly told by our guests that they were amazed how smooth everything ran, and that’s really very challenging to replicate for someone whose new to India and arranging their own itinerary. For us, it’s easy, it’s what we do – we’ve done it a thousand times. We provide you with expert advice that you wouldn’t be able to get from booking.com, ensuring the very best itinerary for your schedule, budget and tastes. Luxury travellers have a different set of expectations than the average traveller – they wish to ensure the whole trip comes together seamlessly and in comfort, without any mishaps, whilst soaking up the best hotels, guides and drivers, and that’s exactly what we promise. In the very unlikely event you do encounter a logistical hiccup – such as a delayed flight or adverse weather – we are always on hand to put things right as efficiently and professionally as possible – again, that’s not something you’ll get from TripAdvisor or booking.com. At Indian Excursions, we believe that luxury travel is about more than opulent hotels; it’s about new experiences, stepping off the usual tourist circuit in order to embrace something more rewarding. 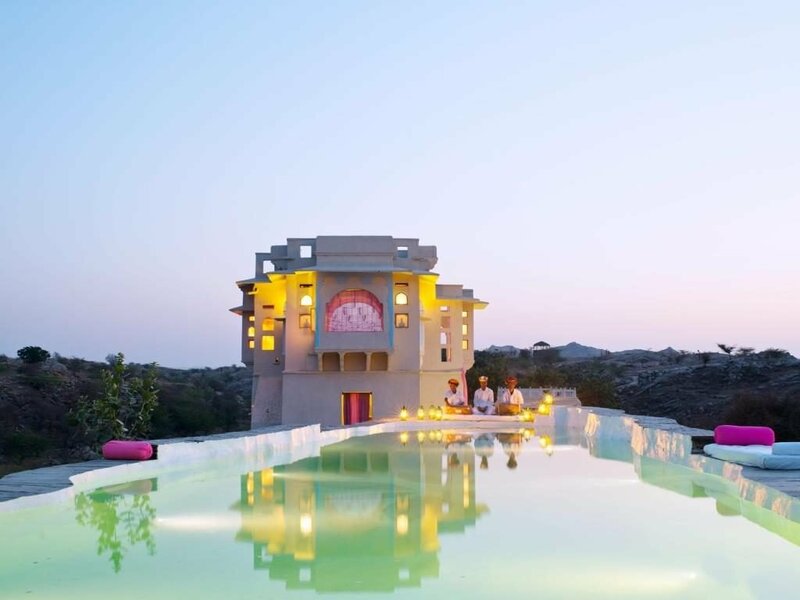 A great way to do that is by staying at one of two of Rajasthan’s hidden gems – you can check out our favourite rural hideaways in Rajasthan, here. All foreign nationals are required to arrange a tourist visa in order to enter India. There are two methods visitors can use to obtain a tourist visa for India. The more traditional route is to post off your passport and application to the nearest visa processing centre, and receive a tourist visa valid for six months multiple entry. A newer and more convenient way is to apply for an e-visa online, at this link. The e-visa is single entry and valid for 30 days. It is all done online so you don’t need to send off your passport, and it can be applied for within 34 – 5 days before you intend to arrive. For the traditional route it’s recommended to apply at least a month in advance. We would recommend the e-visa as its both cheaper and more convenient, though the traditional visa can save time at immigration as there’s often a queue at the e-visa desk. You can read more about applying for an e-Tourist visa, here. How long should my luxury India tour be? Whilst we have prepared itineraries from as short as a day to as long as six weeks, most of our guests tend to spend about 10 days in India. This would allow you time to comfortably explore Delhi, Agra, Ranthambhore, Jaipur and Udaipur; or Delhi, Agra, Jaipur, Jodhpur and Udaipur – Those with a little more time in hand can head out to Jaisalmer too, or incorporate one or two rural stays, within two weeks. Why should I choose Indian Excursions for my luxury India tour? We know Rajasthan. We love it. It’s what we do. Day in and day out for the past 8 years we’ve had the pleasure of crafting unique itineraries and ensuring everything runs smoothly on the ground. We have a reputation for excellence that will become clear as soon as you read one or two of our recent reviews. 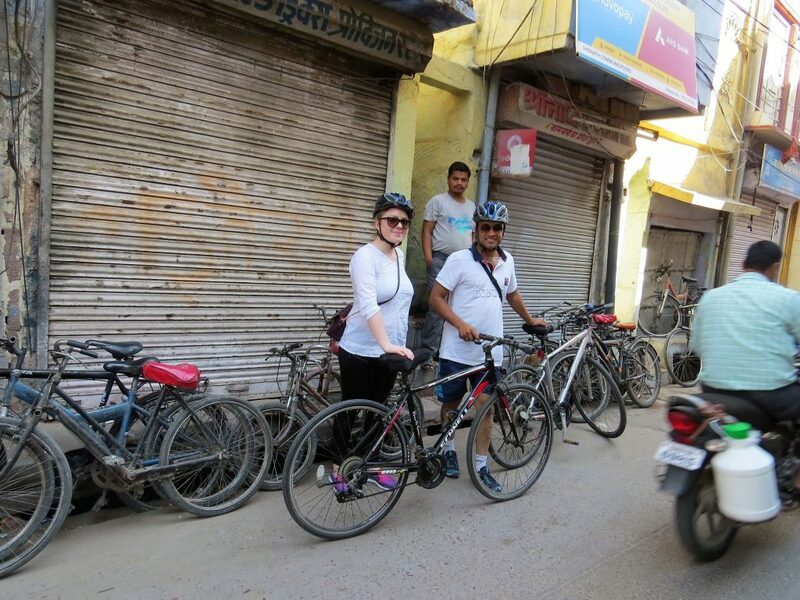 If you’re seeking a luxury, private tour of north India and want to ensure the entire experience runs like clockwork, you’d be assured of just that by choosing Indian Excursions. When choosing Indian Excursions you gain all the first-hand experience and flexibility of an Indian ground agent, alongside the understanding and professionalism of a foreign travel agency. Having cut out the middleman we also offer noticeable cost advantages as compared to your traditional, overseas travel agent. So, you get the best hotels, guides and driver; the flexibility to design a unique tour just for you; and, the best price. If you’d like to begin planning your luxury India tour, do get in touch to share your ideas with us. We’ll prepare a suggested itinerary with every detail tailor-made around you, and can continue to tweak or completely transform it until we’ve created your perfect luxury India tour.